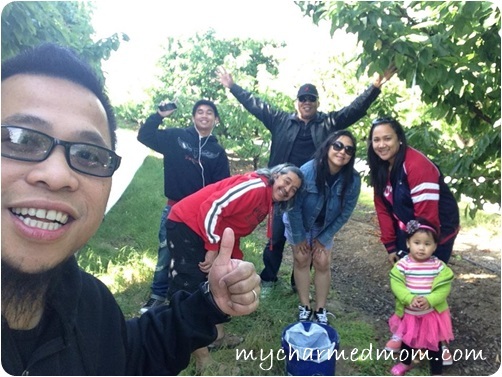 During the long Memorial weekend, we, together with some close friends decided to go cherry picking. I was quite excited as this is my first time to do such activity. Brentwood, California is about 61 miles from San Jose which means that travel time is more than an hour. 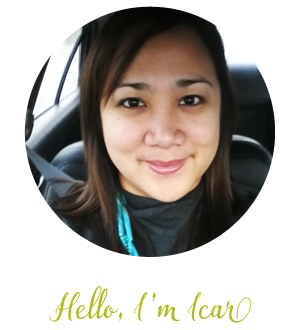 Since our car, a 1995 Nissan Sentra is not stable to travel such distance, my husband and I decided to rely on car rental for our vehicle that day. It was such a lovely Sunday morning just perfect for a long drive. While it was showering in San Jose when we left, we were welcomed by a beautiful sunny day in Highway 580. I can’t help but take photos of the awesome landscape I saw during our drive. 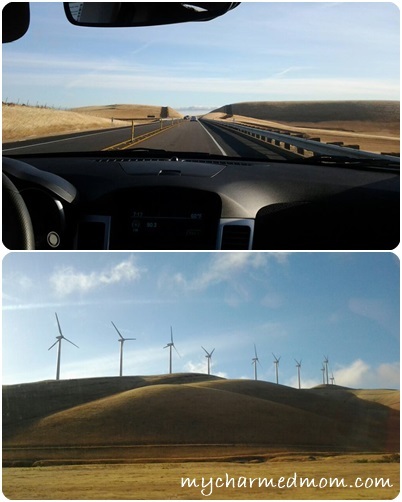 I was most especially amazed at the windmills in Altamont Pass in Livermore. We arrived at the Maggiore Ranch in Brentwood earlier than the opening time and so when it opened we were the first to do the picking. 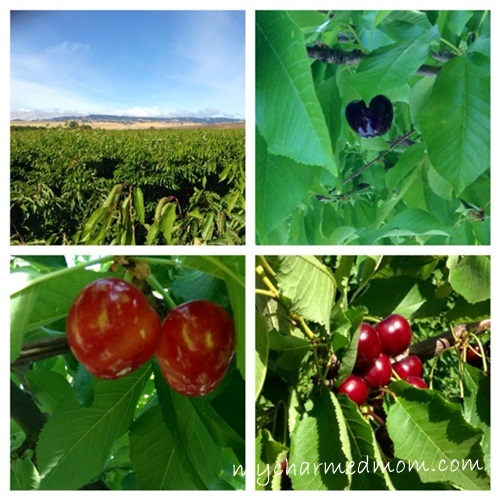 It was such a nice experience picking up the fresh cherries and eating them straight from the tree. 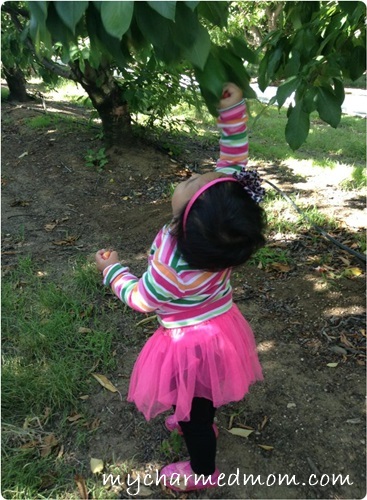 As you can see my daughter loved picking cherries from branches that she can reach. 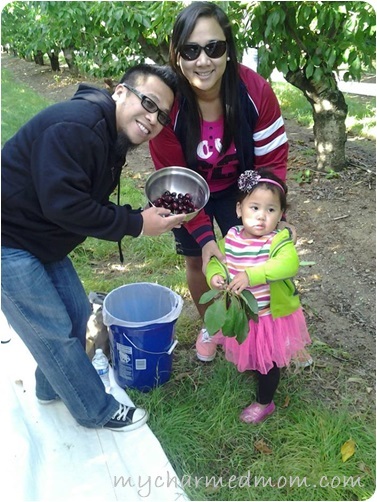 My husband who has lived in California since 2000 has never went to cherry picking so this is also his first time, fairly a milestone for all of us. The photos below show the view from above the ladder, that is when you go high enough above the cherry trees to see the whole plantation plus the sweet and succulent cherries-black and red varieties. The cherries cost $2.50 per pound and were weighed upon exit, we picked almost 12lbs so that cost us $30. That is excluding the ones we ate while picking which is a LOT! lol But as I noticed, we took more photos than cherries, lol all of us were camera addicts and took snapshots of every movement we made. Any activity is worthwhile when spent with your loved ones and closest friends, thus this fun-filled day ended with a smile on our faces and with lots of photos to post on our Facebook profiles. What about you, what family bonding activity did you recently have? That looks like so much fun! I don’t know if there are any cherry orchards around us, but I’m going to look for one now. I know we have blueberries and strawberries that you can pick yourself. Delicious and fun!